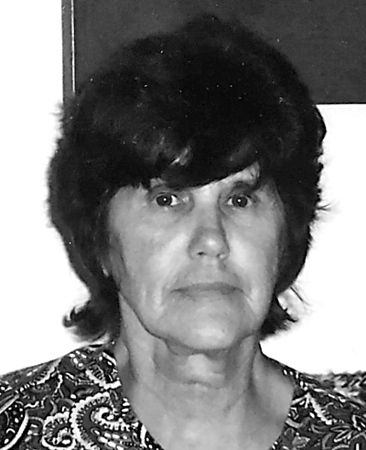 Joanne (Spinner) Rockhill, 71, of New Britain, widow of Roy Rockhill, passed away peacefully on Tuesday, Feb. 5, 2019, at the Hospital of Central Connecticut in New Britain. Born Dec. 21, 1947, in Malone, N.Y., she was the daughter of the late Howard Spinner and Ethel (Burdash) Spinner. Joanne was a resident of New Britain for the past 50 years. She enjoyed knitting, sewing, taking long motorcycle rides with her husband and loved spending time with her grandchildren. Surviving are her children, Lourie Rockhill, Kermit Rockhill and wife, Donna, Linda Gagnon and husband, Rene, Wesley Rockhill, and Diann Keller and fiancé, Lee Bayer; her grandchildren, Michael, Kayla, Courtney, Christopher, Jakob, Bella, Julie, Louie, Kimmy, and Natalee; her great-grandchildren, Aliyah and Jayden; her mother-in-law, Audrey Rockhill; several brothers and sisters, and many nieces, and nephews. Private funeral services will be held on Monday at Erickson-Hansen Funeral Home, 411 South Main St., New Britain. Burial will be in Fairview Cemetery. Please share a memory of Joanne with the family in the online guestbook at www.ericksonhansen.com . Posted in New Britain Herald, on Thursday, 7 February 2019 18:30. Updated: Thursday, 7 February 2019 18:33.